Hello Freehold, NJ! Welcome to Rosen Decorators, the window treatment experts with over seven decades and four generations of experience. When you visit our window treatment store you will immediately receive good old-fashioned personal service. We do not work out of a van! Our physical store is complete with full sets of custom window coverings on display ready for you to touch, see, and feel. Open six days a week, our showroom allows our customers to get a personal view of our beautiful products in an actual setting. At Rosen Decorators, we have plenty of shadings and drapery to choose from. Whatever window covering design you have in mind we are confident we will be able to match it. We carry designs, patterns, and textures, in styles such as traditional, modern, eclectic, contemporary, and farmhouse. We turn your window treatment dreams into a reality. Not sure what you window covering should look like? Allow out trained and experienced designers to inspire you during a one-on-one consultation. We will show you our variety of fabrics, trims, and tiebacks, blinds, shades, shutters, drapery, valances, cornices, and double story window treatments within your budget. From choosing the design and materials to custom window treatment installations, we are Freehold’s choice when it comes to everything window covering related. 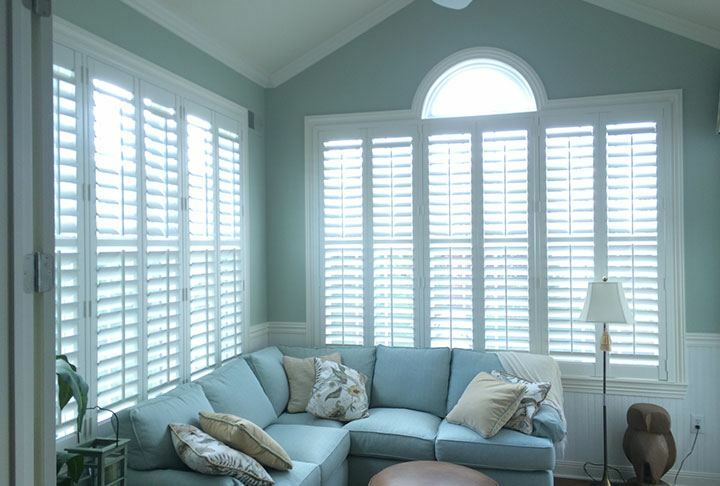 With over thousands of satisfied customers, we pride ourselves on offering high-quality professional window treatment installations in Freehold, NJ. Our experienced staff is trained to have a keen attention to detail when it comes to your custom installations. Our window treatment installers will measure your custom drapery, blinds, valances, shades, shutters, and cornices for a perfect fit every time. We offer the best customer service in the industry when it comes to a window treatment measuring and installation services. No project is too big or too small for Rosen Decorators. Seventy plus years of experience means we have treated just about every type of window you can imagine. 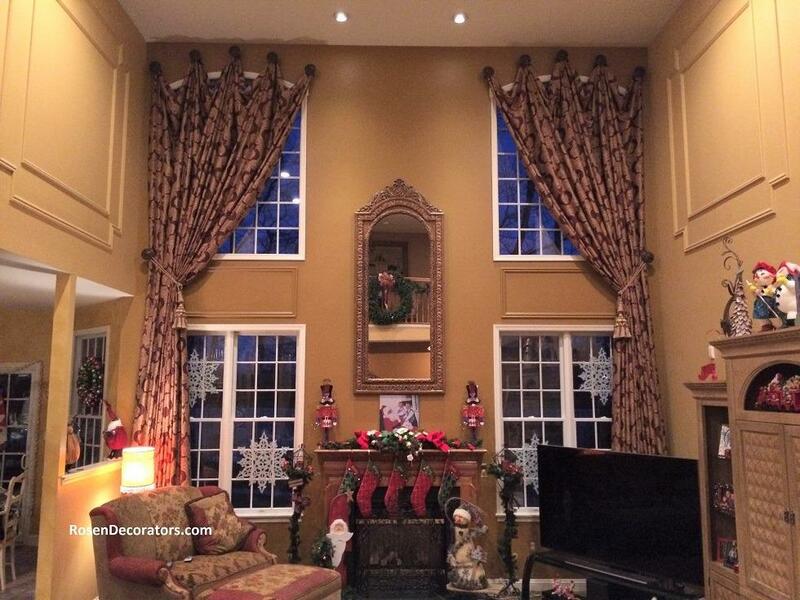 Double story windows like high window drapery in family rooms, great rooms, and entry halls are our specialty. Rosen Decorators isn’t just limited to drapery and valances. We go beyond window coverings to bring Freehold the best in home décor. We have all the decorative hardware accessories you need such as drapery brackets, finials, wood and metal poles, and curtain rods. We carry hand crafted high-end luxury bathroom accessories from famous designers like Mike + Ally. Come to our showroom and check out our selection of custom bedding ensembles and upholstered headboards. We want your inner interior designer creativity to shine while turning your window treatment visions into a reality. Fill out our contact form or give us a call if you have any questions.